A porcelain knob can jazz up an old piece of furniture in no time! 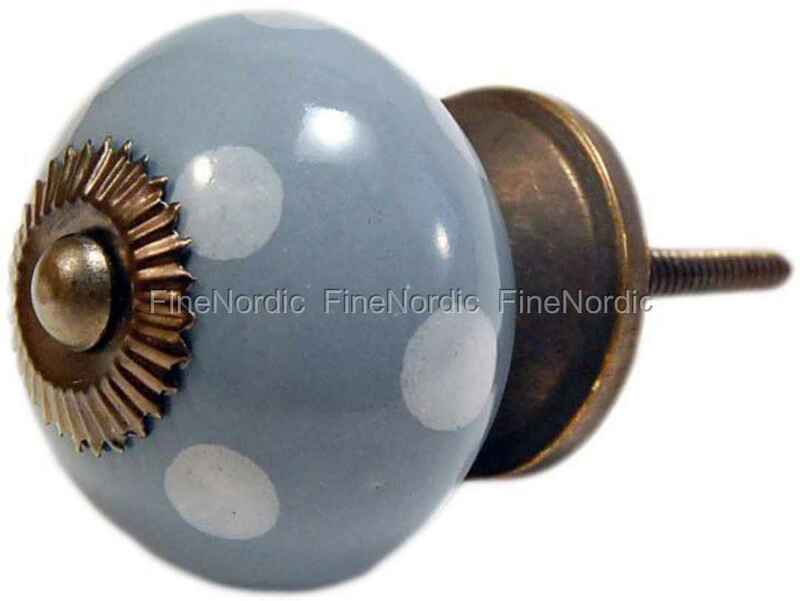 The La Finesse porcelain knob Grey with White Dots will do just that. This porcelain knob has a diameter of 4 cm and once it’s attached to a door or drawer it will stick out ca. 4.1 cm. It’s easy to attach by just screwing it in. It doesn’t just look nice but is also very practical when you want to open or close a drawer or door. Depending on how the light falls on this knob it has a blueish grey look to it. If you have more than one DIY project waiting for you at home, then please have a look at all the other knobs we offer in our web shop! We have a large variety of knobs in all different sizes, colors and shapes.